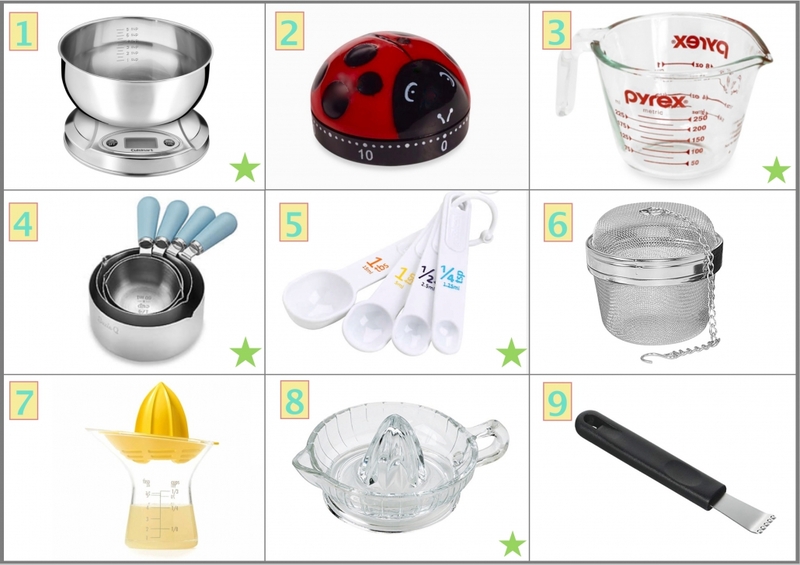 This listing contains the Best Useful Kitchen Tools, gadgets, and utensils for cooking. 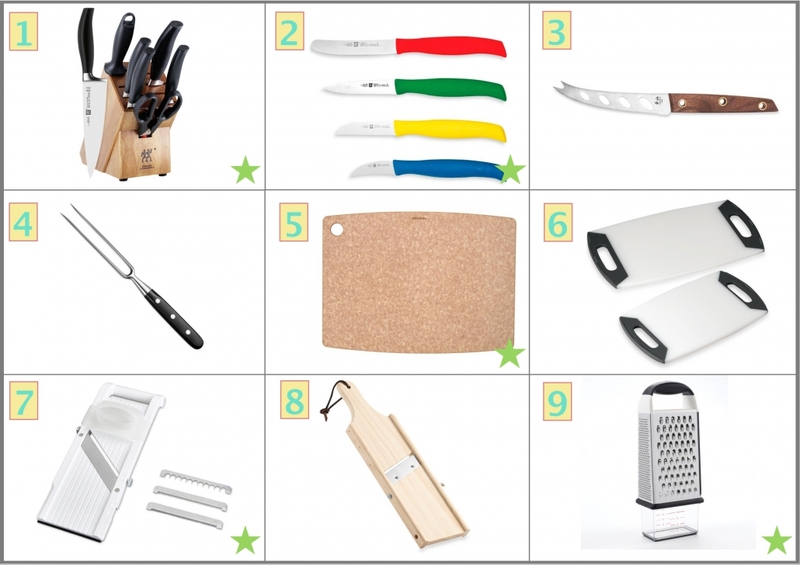 The essential items are marked with a green star on the picture. 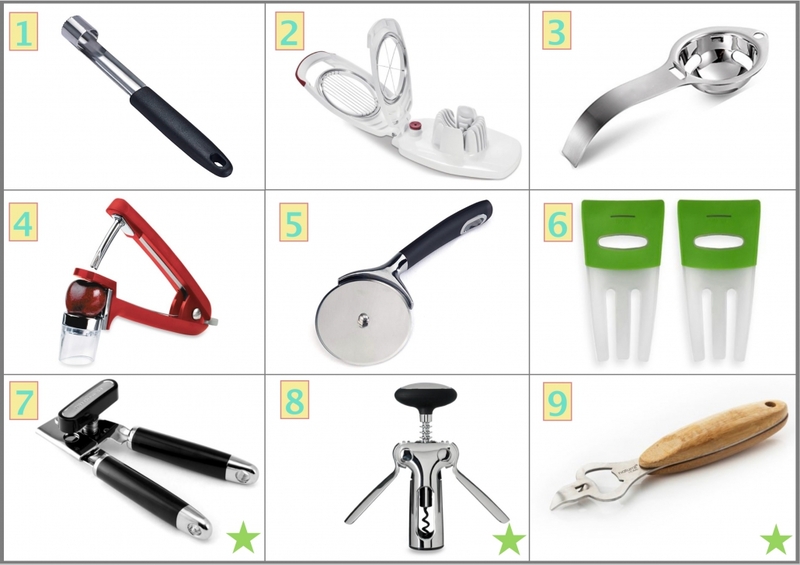 It is very important, to have the right tools, gadgets, and utensils to prepare the meals. 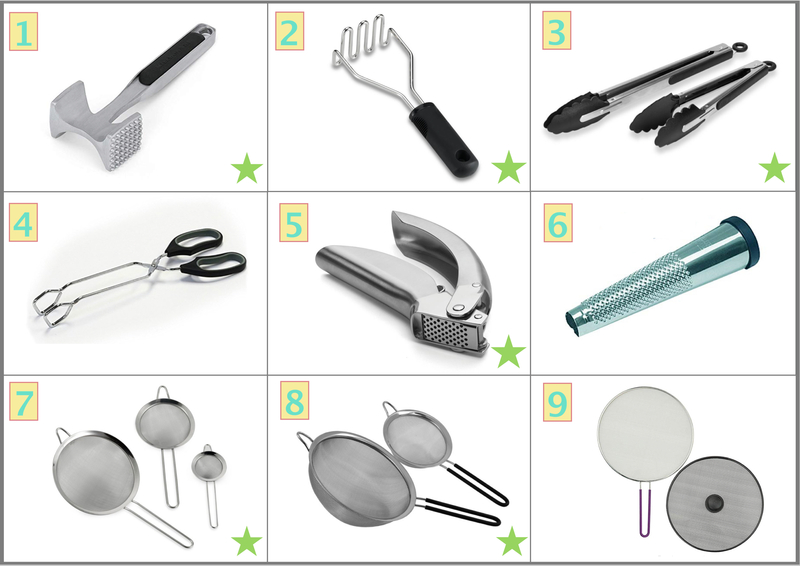 The pictured necessary tools are little helpers to make cooking easier. 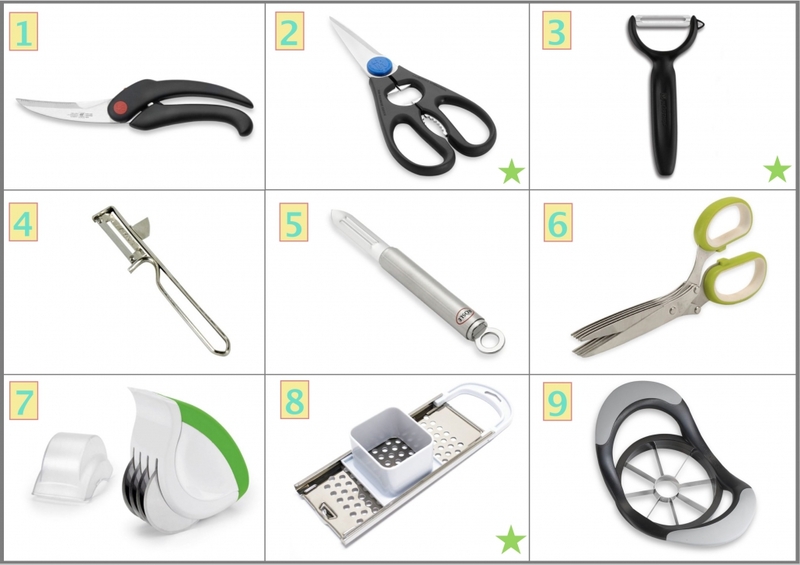 The collection of tools covers the work of stirring, mixing, cutting, peeling, chopping, and more. Where to find the Best Useful Kitchen Tools? 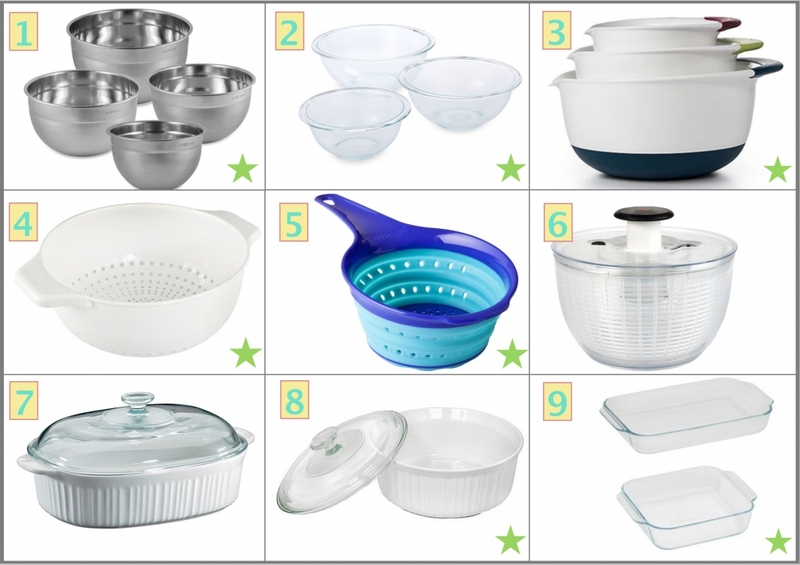 Most of the Tools are available at stores selling household articles and department stores carrying household articles. 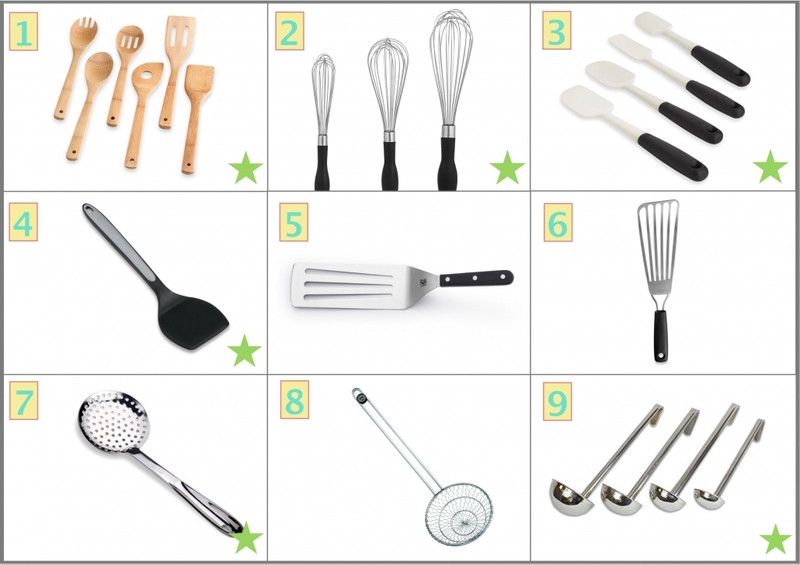 With these tools, you will be able to prepare all the recipes of dishes provided by Oma. 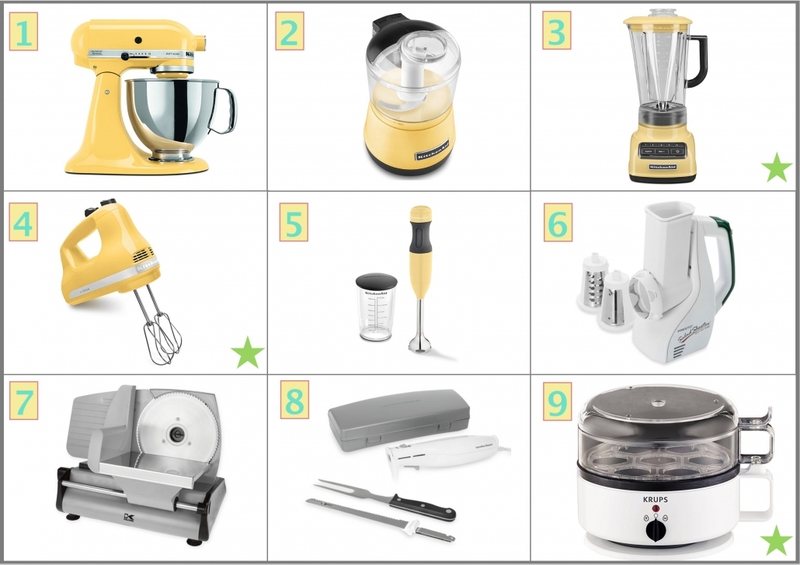 1 Kitchen Scale, 2 Timer, 3 Measuring Cup including metric measurements, 4 Measuring Cups, 5 Measuring Spoons, 6 Spice Ball, 7 Lemon Juicer, 8 Citrus Juicer, 9 Lemon Zester. 1 Knife Block, 2 Paring Knives, 3 Tomato and Cheese Knife, 4 Meat Fork, 5 Cutting Board Wood, 6 Cutting Board Plastic, 7 Mandolin Slicer with four different blades, 8 Mandolin Slicer Wood, 9 Box Grater. 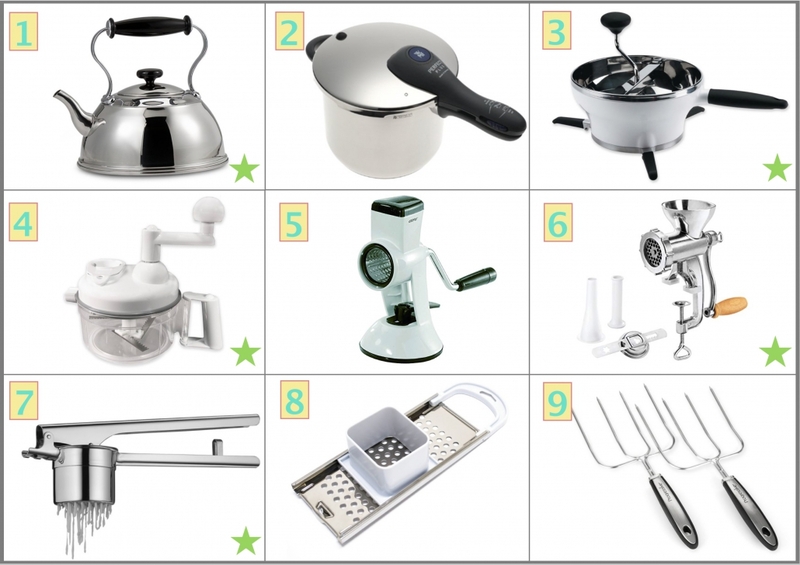 I hope that the listing of the Best Useful Kitchen Tools will help you to get organized in your kitchen but most importantly to make preparation, garnishing, and cooking of food easier. Enjoy!